WeddingSpeechesAndVows.com is the wedding site that helps the bride and groom plan an amazing wedding on one of the most important days of their life. 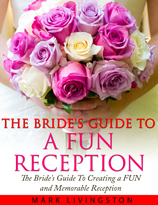 It also helps key members of the bridal party perform their duties on the bride and groom’s special day. I’m Mark and I’m delighted you dropped by to visit today. On my site you’ll find information and articles about wedding speeches. If you’re the bride, congratulations on your upcoming wedding! I have a personal message for you since you will be intimately involved in planning your wedding. I know how stressful and daunting planning a wedding can be. That’s why I’m here to help with tips, advice, and resources as well as my free wedding planning checklist to get you – the beautiful bride-to-be – started. Most of all, I want to put FUN into your special day. I want you and your new husband to have the time of your life with those who are near and dear to you. Of course, I’m here to help your family and friends too. Help with speeches. 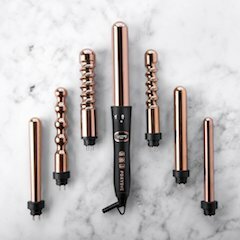 Help with questions. 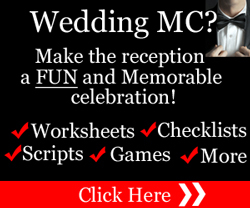 And help with planning an amazing reception by showing your MC how to create a FUN and memorable time so you and your new husband can sit back and enjoy your reception without having to worry about all the little details. Many sites for brides can be confusing. You spend hours wandering around trying to find information that will help with your planning. I’ve tried to make it easy to find the information you want. Each of my site’s main sections gives you and your key guests – including your parents, bridesmaids, and the best man – advice on how to create a speech. You’ll also find information on bridal hairstyles. Bride’s emergency kit. Groom’s emergency kit. Bridesmaid’s duties. Most importantly, I know that after you’ve spent thousands of dollars planning the perfect day you want to celebrate at your reception with your closest friends and family. 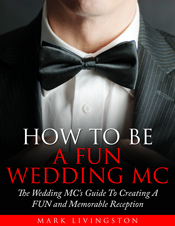 That’s why I’ve included an extensive section for the Master of Ceremonies – the key person you turn to for creating a FUN time at your reception. So browse around. Download my free checklists and guides. Send your friends and family here for information to help them, too. I wish you every joy and happiness on your special day!